Fruit salad in a hollowed out dragon fruit. For our visitors from North America and Europe, you may not have ever seen or tasted some of these fruits pictured here. Fruit salad doesn't have to boring. Change it up by selecting those interesting different fruits you see at the grocery store. These tropical and exotic fruits are considered common in many Asian countries and are becoming more common in grocery stores in Western countries. 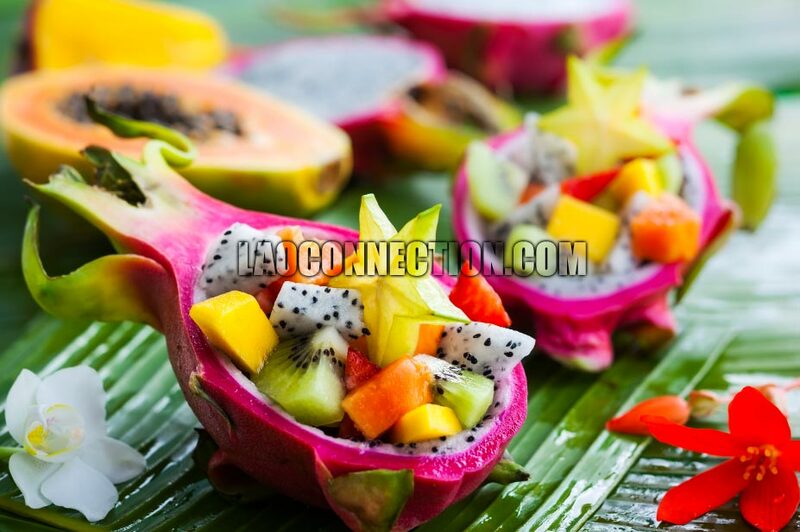 While you may recognize the pieces of watermelon and kiwi, the others are starfruit, mango, dragon fruit, and papaya.